2016 Great Day of Service Co-Chair, Susie Hubbard asked PRUMC member Ed Hamlin about his experiences on our annual church wide volunteer day. Stay tuned for more wonderful testimonies about our community event that brings us together to help others in need. For information on this year’s Great Day (March 19!) and for a registration link, CLICK HERE. Lending a helping hand. We all have gifts that we have been entrusted by God to share. The cool thing about sharing is when we do, we often wind up being the enlightened one. We are dependent on one another and have an obligation to help our neighbor. How did you first get involved with the Great Day of Service? I am sure it was an idea that resonated with me. What is your most memorable moment from the Great Day of Service? I love the energy that is on display in the Great Hall. My wife says I flutter around. I love just talking to folks about their project and seeing our church come together like this. The worship service is one of my favorites. I can’t believe folks would elect to miss the service, it is very impactful. 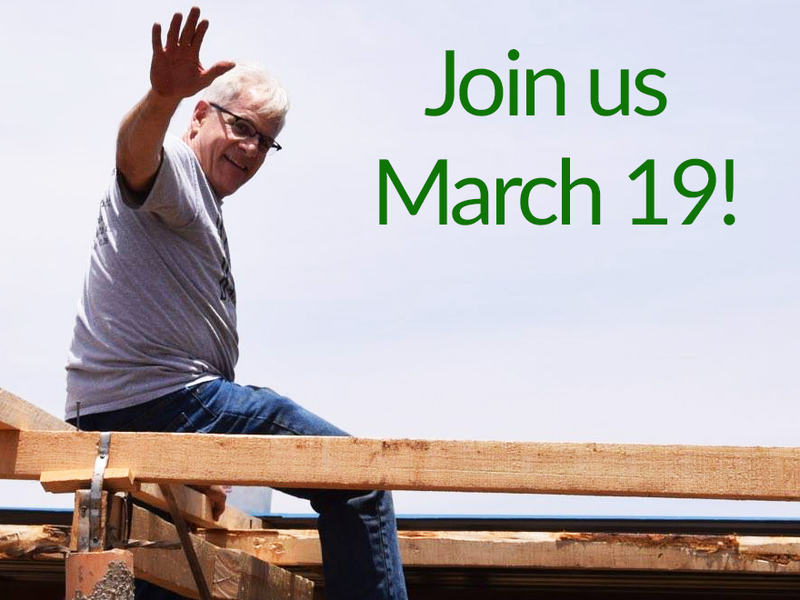 How has the Great Day of Service made you feel more connected to your faith and the life of the church? I think it is a defining event in a good and bad way. It is good we do that and expose so many to the beauty of being in mission. I just think we come up short when we can’t leverage that energy to do even greater things for our community. My goal for PRUMC before I die is to see us contribute 51% of our budget to missions. What would you say to a member who is deciding on whether or not they will participate? It is a great way to meet new friends that you would probably never have an opportunity to get to know otherwise. Because each of us has been given different gifts, there are projects that are designed to give each person no matter how young or old, how active or how not an opportunity to share what God has given you. The most important gift we share is our time and this GDS is not a burdensome requirement, it is only a few hours. What has the Great Day of Service taught you about your greater community and the needs of its citizens? The GDS reminds me of what Mother Theresa taught when she said, “very few of us are capable of doing really great things, but all of us are capable of doing small things with great love”. This year, I hope we leave our PRUMC banner and advertisements at home and let the people we serve come to knows us by our love. If people see that our love is sincere, they will want to know how we got that and then we share why.